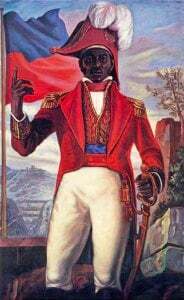 In 1825, French ruler King Charles X offered to recognize Haiti’s independence on the condition that the new Black Republic pays 150 million gold francs in ransom. The extorted bounty was distributed to white slave holders for the loss of “property” they claim to have suffered as a result of the abolitionist Haitian Revolution. March 1877: French gun-boat aggression against Haiti. At issue: resumption of payments on the 1825 ransom – balance then re-estimated at 20 million gold Francs. A delegation of Haitian children (descendants of abolitionist leader Jean-Jacques Dessalines) from all corners of the island shall await French President François Hollande as he sets foot in Haiti, on May 12, 2015.